The 2019 Ford F-150 Lightning coming soon. 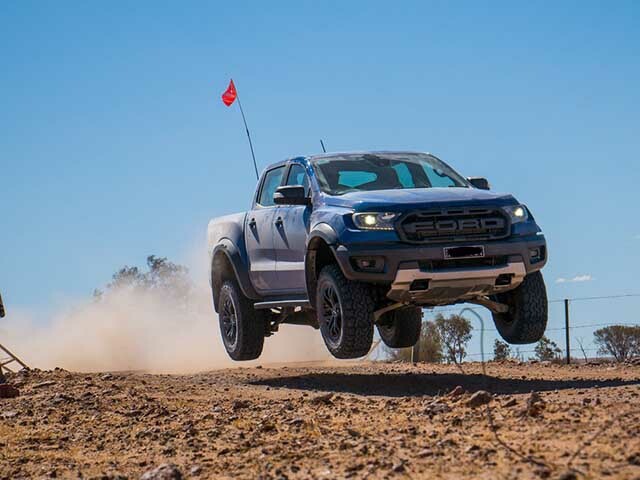 Ford is among the top players in pickup truck sector- beyond any doubt. Its F-150 range of light duty trucks sell in record numbers and the variants cater to different types of buyers- as it is. Its popularity has not reduced despite steep competition from segment rivals like the venerable Ram 1500 and Chevy Silverado series. The latest range of F-150 has got lots of praise from all quarters but fans can look up to more choices. A Georgia based Ford dealer has done an impressive job of customizing the F-150 and re-created the Ford Lightning- a yesteryears popular model. In the late 1990s, the Ford F-150 Lightning was a very popular truck and the model sold in good numbers too. It was in 2004 that Ford decided to withdraw the model from the market. It was actually replaced by the now popular Ford Raptor. Ford has not said much on re-launching the Lightning trim even though the company is sure to re-launch another popular but discontinued truck the Bronco. The dealership, Pioneer Ford has customized the F-150 regular cab, short bed variant to make the Lightning. It does look impressive with 22-inch wheels, side exhausts, Shadow Black paint and Lightning badging. The truck looks quite different besides the regular F-150 models. 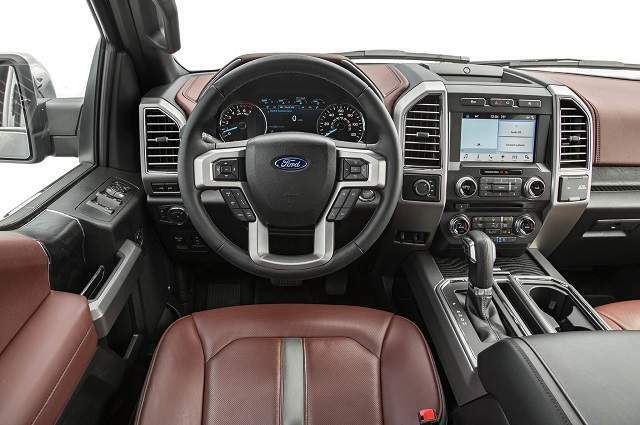 The cabin of 2019 Ford F-150 Lightning is utilitarian and it is not aimed at wooing luxury truck buyers, for sure. The cabin however is quite spacious and build quality is good enough. The 2019 Ford F-150 Lightning gets a really robust engine and that actually is its USP! Under the hood, sits a Coyote V8 unit and a Roush supercharger. This combination makes an output of a whopping 650 hp. With this output, it can leave all segment rivals back in acceleration. You also get a special sport tuned suspension and towing package. It gets RWD and ride quality is seriously impressive. Fuel economy is also decent. The 2019 Ford F-150 Lightning has standard safety features and amenities included in typical F-150 lineup. However, later the dealership may make room for customizations. You still get decent safety features and some amenities in it. 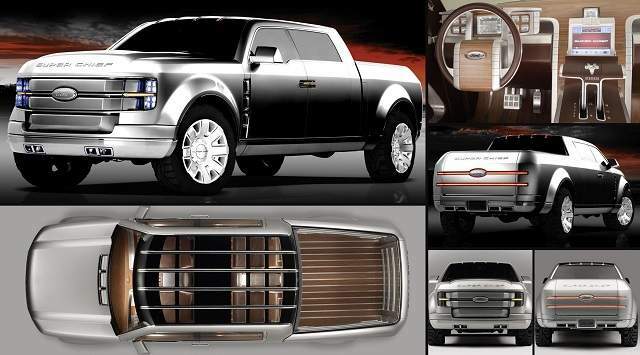 The base price of customized Ford F-150 Lightning is around $50000. However, with more customizations, the price will surely go up. However, the fact is you get Ford warranty in spite of all the changes. You even get access to Ford financing incentives along with factory rebates on this variant. However, the dealership is making the variant in limited numbers. There is no denying that the Georgia based Ford dealership has done a great job of customizing the Ford F-150 and the customized Lighting truck can give rivals a run for their money. The styling is quite aggressive and the powertrain is robust- to say the least. It is not aimed at luxury seeking lot but performance is awesome. The only thing is the dealership is making the model in limited quantities- as of now.